Patients often avoid scheduling appointments to the dentist because they feel overwhelmed by the current health of their teeth. At The Dental Centre of Conroe, we would like to extend an invitation to you to visit a dental practice with a different, positive approach to improving your dental health. When Dr. Richards and our compassionate team look at your teeth, we see the potential. Through comfortable visits and the one-on-one attention you deserve, you will find restoring the health and beauty of your smile can be a wonderful process with a rewarding outcome. When your teeth and oral structure suffer from tooth decay and disease, the results often include physical damage. Fortunately, restorative dentistry offers patients innovative solutions for improving their oral health and function. For example, if you break a tooth, we will offer tooth replacement options. 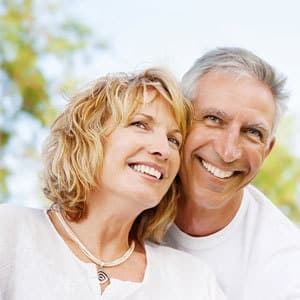 Or, if your tooth develops a cavity, we will provide you with a tooth-colored filling to remove the existing tooth decay and replace the missing tissue. Should I Schedule A Restorative Dentistry Appointment? To schedule an appointment with Dr. Richards, call the Dental Centre of Conroe today at (936) 441-4600. Located in Conroe, TX, we also proudly serve the residents of Houston, The Woodlands, Willis, Montgomery, Magnolia, Huntsville, and all the surrounding communities.